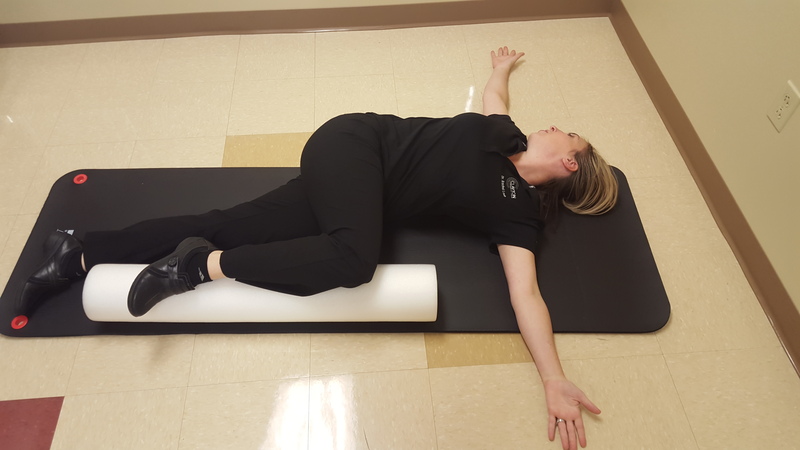 Start sitting on the floor with the foam roller behind you perpendicular to your spine. Keep you feet flat on the floor. 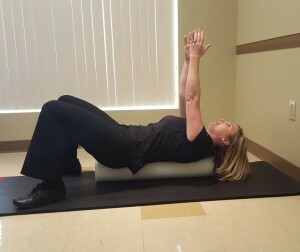 Lay on the foam roller with it under your midback. Your hands should be behind your ears with your elbows out wide. Use your core and support yourself while rolling towards your feet so the roller goes up your spine. When you hit a spot that feels tight, hold there for 20-30 seconds. Continue rolling higher on your spine to the next spot. 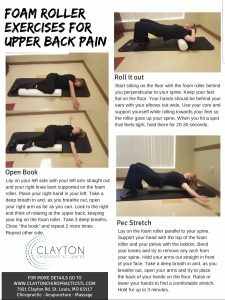 *It is not recommended to roll out your lower back, however you can roll to the side and roll out your lats. Lay on the foam roller parallel to your spine. 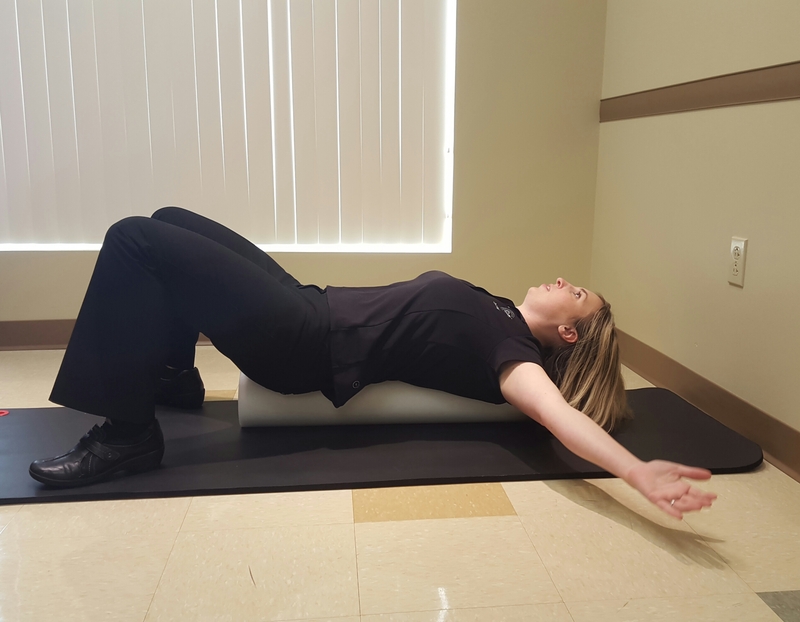 Support your head with the top of the foam roller and your pelvis with the bottom. Bend your knees and try to remove any arch from your spine. Hold your arms out straight in front of your face. Take a deep breath in and, as you breathe out, open your arms and try to place the back of your hands on the floor. Raise or lower your hands to find a comfortable stretch. Hold for up to 3 minutes. For additional stretch, continue to slower raise and lower your arms like you are making snow angels. 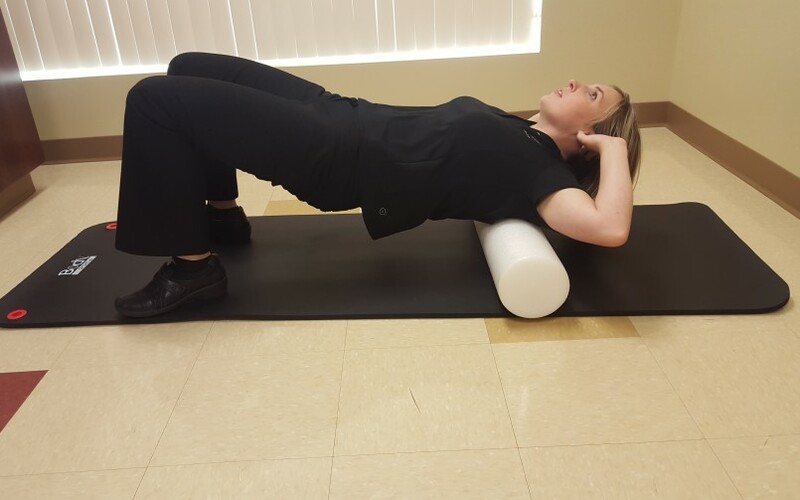 You do not actually need a foam roller for this, but it is a perfect knee support while it is out from doing the other exercises. Lay on your left side with your left arm out straight and your right knee bent supported on the foam roller. Place your right hand in your left. Take a deep breath in and, as you breathe out, open your right arm as far as you can. 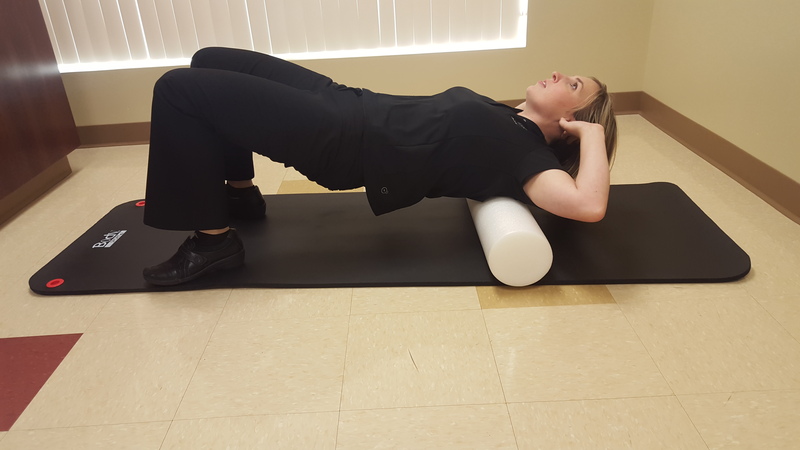 Look to the right and think of rotating at the upper back, keeping your leg on the foam roller. Take 3 deep breaths. Close “the book” and repeat 2 more times. Repeat other side.